Don't let your furry friends freeze this Winter. 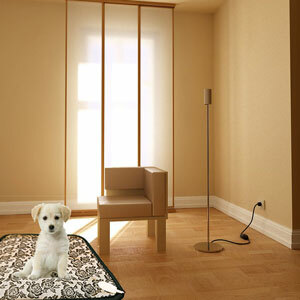 Make them cozy with Heated Pet Pad. Just plug this in and your pets will be more comfortable than ever. They will thank you for it. With this extremely cold Winter coming fast, it is important to not forget your pets get extremely cold also. Give them the comfort they deserve, maybe a treat too. 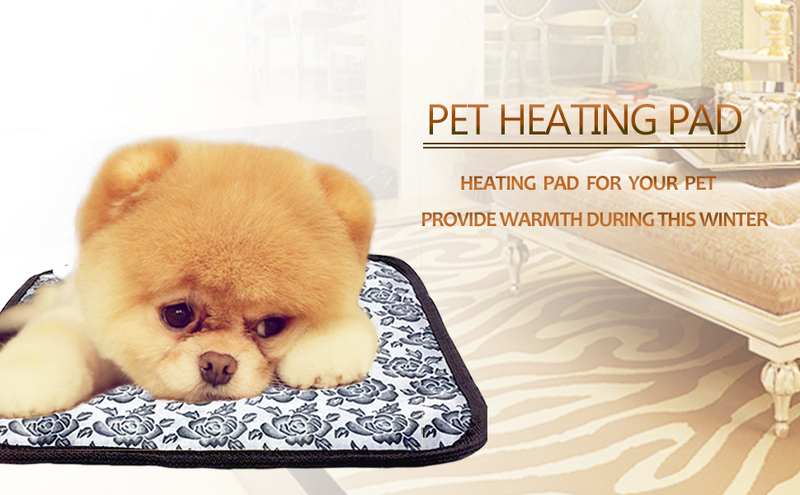 The Best Heating Pad for Dogs and Cats - Newest heating pad suitable for new born pets, senior pets, arthritic pets, pregnant pets or animals recovering from illness or injury. Help the pet (dog, cat, rabbit, etc.) to keep warm and comfortable when spend winter. Quick Heat and Power-off Protection Temperature Control - Heat up at 10 min, keep adequate heat for our pets.High/Low level of temperature control.Temperature can be adjusted and can be up to 104 degrees Fahrenheit. 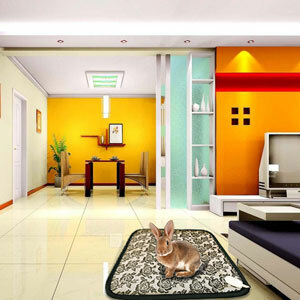 It can avoid overheating to protect your pets. Waterproof & Moisture-proof Pet Heating Pad - Durable oxford fabric and waterproof material for long- lasting, comfortable, flexible, waterproof, dust free, anti-electric shock (ensure your pet's safety), easy to clean by hand. 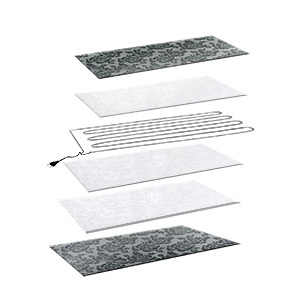 Safety Instruction - Please keep the pet heating pad flat when in use, Please do not fold the heating pad when you use.place an object such as a pillow or fleece (not heavy) cover the heating pad.Indoor use Only. 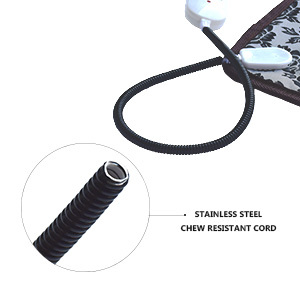 Chew Resistant Protection - A good chew resistant steel cord, that is protected our pets can not easily chew it up,and with a chew guard around the end of the cord. She enjoys it, only thing that matters. It's 25 bucks so even if it lasts only six months it'll be worth it. They LOVE it! We have two kitties and one has really long fur. Both of them get haircuts twice a year. So they are a bit chilled after the cuts. This mat is absolutely perfect and they both loved it instantly. But until today whomever got to the mat first had possession of it. So I ordered a second one. And then I looked and saw both of them in the one mat. I’m still getting a second so they have room to stretch out. Cats do that you know! Put this in my cat house for my outdoor kitty. He loves it and it keep the space warm. Especially on cold wet days like today. For our very first newborn puppy arrival this has been perfect. She is 5 weeks old and this heating pad has kept her warm and snuggly. Thank you! My little Yorker gets cold easily after she gets a haircut. She loves to sleep on this. She is getting older and I’ve noticed when she gets up in the morning she is less stiff and moves easier. It gets warm without getting too hot. I feel safe putting it under her blankets. It appears very well made. It looks like it will hold up to the scratching she does as she adjust her bedding before she settles down for the night. I would highly recommend.